The Lean In stock image collection for Getty is a year old. The new library of photos shows professional women as surgeons, painters, bakers, soldiers and hunters. There are girls riding skateboards, women lifting weights and fathers changing babies’ diapers. Women in offices wear contemporary clothes and hairstyles and hold tablets or smartphones — a far cry from the typical stock photos of women in 1980s power suits with a briefcase. I welcomed the collection at the time, noting that “many people often just scan headlines and look at pictures, so what kind of imagery we use counts for a lot.” I hoped that the new partnership could nudge the world of stock imagery away from its tendency to portray women in power as scary or men doing domestic chores as comedic fodder. The typical stock images you get when you search for a term like “feminism” or “working woman” speak volumes about some of the lingering anxieties around women’s growing power in the world: Women stomping men, women neglecting babies, stuff that wouldn’t be out of place in anti-suffragette cartoons from the 19th century. The Lean In Collection, on the other hand, gives more feminist-minded writers and photo editors a chance to express a more aspirational view of life and the workplace. So, a year later, what do the Lean In Collection’s most popular pictures tell us about those aspirations? The No. 1 seller in the United States is captioned: “Designers examining sample shoes and design drawings on floor of design office.” It shows a white woman and a black man, both dressed in business casual, staring at some shoes, and says: Just because a diverse, egalitarian workplace is important to me doesn’t mean that I can’t also have a deep and abiding love of shoes. 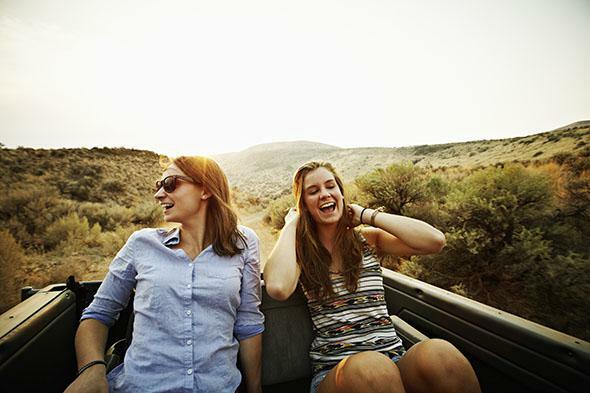 The second best selling image is captioned: “Two friends riding in the backseat of convertible off road vehicle driving on desert dirt road at sunset laughing.” Which is much better than laughing alone with a salad. This is how I hope my friends from high school picture me spending my time on the weekends, as opposed to binge-watching Orange Is the New Black on Netflix with a bottle of pinot grigio. 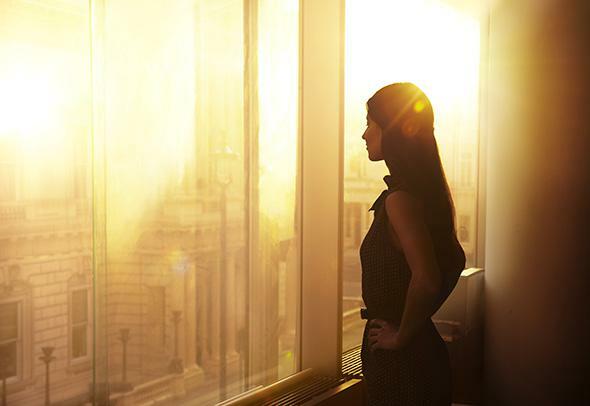 The third-best-selling image: “Business woman looking over the city at sunrise.” This business woman, however, is wearing a sleeveless shirt, because it’s fine for women to show their arms at the office. The most popular images may still be a very narrow view of what women look like, but they are all better than baby-in-briefcase. Hopefully the best-sellers in year No. 2 will be pics of fathers who know their way around diapers and women gazing at the latest digital gadgets with knowing, confident smiles.